Backup all your PCs no matter how many. 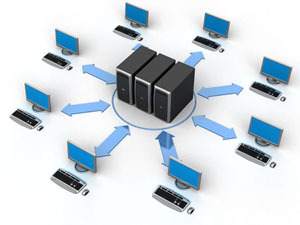 Secure Data Services is ideal for businesses with many workstations and laptop fleets. Schedule secure online backups for all PCs in your company with the help of Secure Data Services. Rest easy at night knowing that your backups are on auto-pilot. Secure Data Services is capable of providing secure, cloud backup for your business servers. For businesses concerned with geographic redundancy and specific redundancy requirements, Secure Data Services uses data centers worldwide. These data centers are located in the United States and Australia. By default, Secure Data Services backs up to two redundant locations. Each of these data centers require biometric credentials for entry and are under watch 24/7.